You can use this topic to request new features. Hi! I have a few requests. Will it be possible to look up more than 100 transactions per address in the future? Maybe add the option to look up an alias straight from the searchfield. You can now only view an alias by looking up the address. I think adding an additional Donation/Pay button will be helpful to get payment or donations on that address instead of using copying and paste address. Button should work like a gateway to that address as its already available in Payment API. If you all haven’t loaded Wavesexplorer recently you should do so. They have made several improvements to the website recently. I just noticed the new interface yesterday. Still several things I would like see improvements for at this time. But, they improvements are a good start. I think it would be very interesting to enter the id of my token and also see all the transactions in addition to the token creation data. In short, a sort of explorer only for id inserted. Probably you should specify when a fee was paid in certain coin (sponsored transactions). 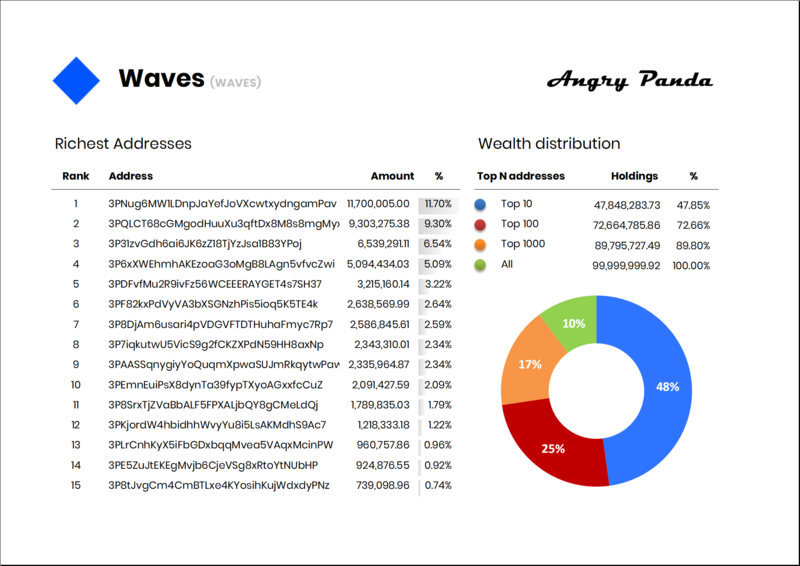 For example, if you check our wallet in the explorer https://wavesexplorer.com/address/3PGsboZa7nvTMcAhL8jzPtrXGjsgU8yKWeQ a transfer for 61,400,463.8668052 RENTOO appears on 21.03.2019 20:04:42 . At first sight seems like we are moving other tokens but it is actually there because an user paid the fee in Kolin. There should be a kind of badge specifying this as a sponsored transaction nothing else, this would avoid future confusions.